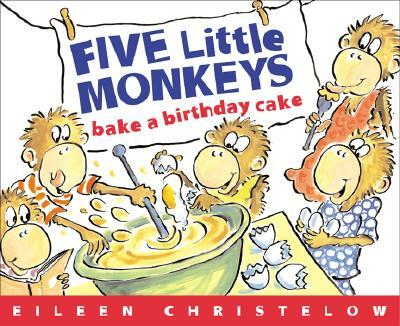 Five little monkeys wake up with the sun. Today is their mama’s birthday and they are going to bake a cake. They'll have to measure the flour and mix in the right number of eggs, and get it all into the oven in time for the birthday surprise—without waking up Mama!